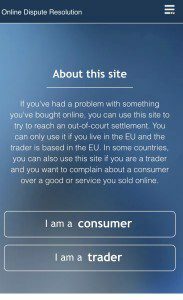 The new EU Platform for complaints is here! 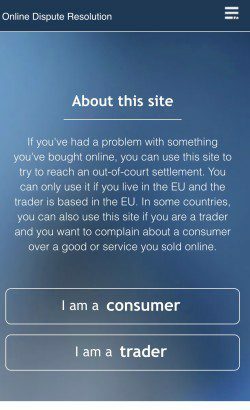 This is is the screen you will face when you go on to the EU Platform to deal with complaints! Dont forget to register with us and to include the link on your website.